The Prime Minister, Shri Narendra Modi, today interacted with young innovators and Start-Up entrepreneurs from across the country, through video bridge. This is the fourth interaction by the Prime Minister through video bridge series with various beneficiaries of Government schemes. Delighted at India’s youngsters becoming job creators, Prime Minister said that the Government is committed towards harnessing the demographic dividend. The Prime Minister further said that adequate capital, courage and connecting with people are required for excelling in the start- up sector. Prime Minister said that things have changed from the time where start-ups meant only digital and technology innovation. He said that now there are start-up entrepreneurs in many fields. Start-Ups are filed in 28 States, 6 Union Territories and 419 districts. Out of these, 44% of start-ups registered are from Tier-2 and Tier-3 cities as Start-Up India is focussing on encouraging local innovations from their areas. In addition, 45% of the start-up are set up by women. Shri Narendra Modi also explained how filing patents and trademarks have become easy under the government. Government has brought down the number of forms needed to apply for trademark from seventy-four to eight, resulting in three-fold increase in Trade Marks registration in three years. Number of patents registered has also seen a three-fold increase compared to the previous government. During the interaction with young entrepreneurs, Prime Minister said that the government has created Rs.10000 Crore ‘Fund of Funds’ to ensure that young entrepreneurs may not face shortage of funds for their start-ups and to facilitate youngsters to innovate. Through the ‘Fund of Funds’, Rs.1285 Crore funding has been committed, leveraging a total of Rs.6980 Crore in venture funds so far. Explaining the steps taken by the government to make India’s start-up ecosystem robust, Prime Minister said that the Government-e– Market Place (GEM) has been linked to Start-Up India portal so that start-ups can sell their products to government. Start-Ups have been given income tax exemption for three years. Six labour laws and three environmental laws have been changed so that young entrepreneurs need to provide only self-certification. 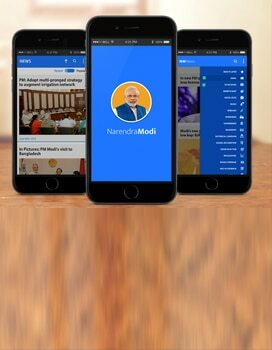 Government has also started a one-stop digital platform called Start-Up India Hub where all information regarding start-ups and its ecosystem is available for entrepreneurs. Interacting with the participants, Narendra Modi said that in order to foster innovation and competition amongst youngsters, Government has started various competitions like Atal New India Challenge, Smart India Hackathon and Agriculture Grand Challenge. Prime Minister also mentioned his discussion with Prime Minister of Singapore, on holding a Smart India Hackathon like challenge between innovators from Singapore and India. Prime Minister also reiterated the Governments’ commitment in encouraging innovation in India. Eight Research Parks and 2500 Atal Tinkering Labs are being established all over the country to encourage youngsters to take up research and innovation. Addressing the innovators, Narendra Modi invited youngsters to ideate on how to transform agricultural sector. He said that ‘Design in India’ is essential along with ‘Make in India’. Prime Minister also encouraged youngsters to continue innovating and gave the mantra of ‘Innovate or Stagnate’. Interacting with the Prime Minister, young innovators explained how the various government schemes under Start-Up India initiative have helped set up the new start-ups. Entrepreneurs and innovators also explained their innovations to Prime Minister ranging from agricultural innovations to Block chain technology. Schoolchildren from various Atal Tinkering Labs shared their innovations with the Prime Minister. Prime complemented the schoolchildren for their scientific skills and encouraged them to come up with more such inventions. 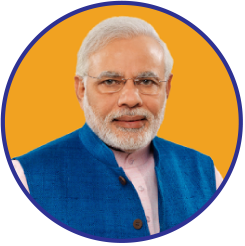 Prime Minister gave a clarion call to nation to make ‘Innovate India’, a mass movement. He encouraged the citizens to share their ideas and innovations through the hashtag #InnovateIndia. Adequate capital, courage and connecting with people are required for excelling in the start-up sector. PM @narendramodi commends entrepreneurs in Assam for furthering a spirit of enterprise and innovation in the Northeast. School children from Tamil Nadu's Thoothukudi are sharing their innovations with PM @narendramodi. One of the issues they are talking about is water conservation. The students say that they want to work to conserve water and that Atal Tinkering Labs are helping them greatly. Youngsters are talking about the idea of a Smart Anna Bhandar- which will help farmers. Using #InnovateIndia, write about pioneering innovators who are distinguishing themselves. This will inspire several others to focus on research and innovation.